Continuing its research on the topic of collecting, the Pinacoteca Agnelli presents an ideal collection including works by Tony Oursler (b. New York, 1957), the "father of video sculpture," and a selection of objects belonging to his large collection of occult-related materials. These are juxtaposed with works by painter and psychic Gustavo Rol (b. Turin, 1903-1994) from Turin's city collections. Oursler is one of the most innovative artists to use video as an expressive means. On this occasion, he will also display a new series of works, the Ex Voto, inspired by his visit to the Chiesa della Consolata in Turin. 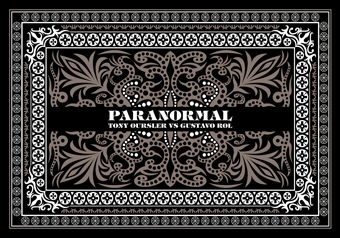 An art lover and painter himself, Gustavo Rol left jobs as a journalist and bank clerk to pursue his greatest passion: the occult. A close friend of Federico Fellini and a confidant of numerous celebrities, he encouraged people "to look beyond appearances and to stimulate their intelligent spirits."